AC Milan will reportedly face stiff competition in their pursuit of Cagliari starlet Nicolo Barella, with city rivals Inter also said to be interested. The 21-year-old has been busy making quite the impression over the last 18 months, establishing himself as a fundamental figure for Cagliari last season while continuing that form so far this year. With an eye for goal as well as a tenacious and combative nature to offer an all-round package as a central midfielder, Barella has also made a breakthrough for Italy and seemingly has a bright future ahead of him. In turn, it’s no surprise that Calciomercato, via the paper edition of Corriere dello Sport, report that he has attracted the attention of both Milan and Inter, although he won’t be cheap as the Metro noted this week that Cagliari could demand up to €50m for their prized asset. Given the quality that he has displayed thus far coupled with the promise he has to improve and develop in the future, there is an argument that Barella could be worth the investment. Time will tell though if either Milan or Inter are able to reach an agreement with Cagliari over a transfer fee, and then convince the player himself over a move to the San Siro. 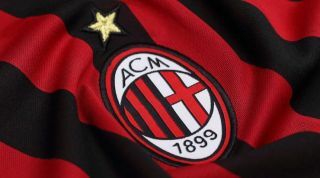 What is certain though is that with a lack of quality and depth in midfield, particularly with the absence of an alternative for Franck Kessie, midfield reinforcements are needed at Milan. Meanwhile, there could also be some outgoings from coach Gennaro Gattuso’s squad too, as it’s claimed by Calciomercato that both Alen Halilovic and Tiemoue Bakayoko are likely to leave in January and next summer respectively. Halilovic has barely featured since his summer arrival, while Bakayoko has struggled to make a positive impression in his two starts in the Europa League while being using sparingly in Serie A. With that in mind, Milan would arguably not miss either if they were to move on, with the Chelsea loanee seemingly now expected to return to Stamford Bridge at the end of the season. It is still early in the season though and so things could still change in the coming months.